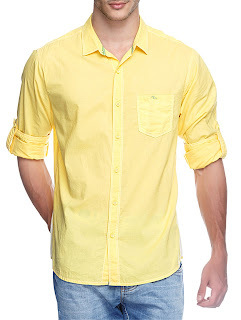 LimeRoad introduces Spring Summer Collection for Men;Yellow Is the New Black! Bangalore, 28 March 2017- Sobbing over the same old summer wardrobe? Well, you deserve a refreshing change. This summer, set your shades right. The newest palette of yellow is nowhere close to boring. For men who are looking for something minty fresh for the upcoming summer, this shade gets a green light. Listed below are some handpicked yellow hued summer staples from LimeRoad. Here’s how you boys can go dapper even on a casual day. 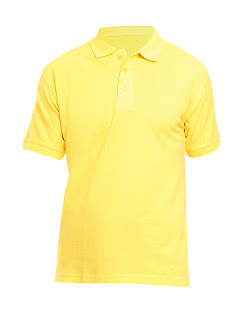 Wear this yellow cotton t shirt with your rugged denims to get an effortlessly stylish summer duo. For footwear, choose a pair of denim espadrilles or white canvas sneakers. While you will surely look fresh on fleek with this attire, don’t forget to smell refreshing. Spray on a zesty deodorant to keep away the summer odour from ruining your edgy yellow look. 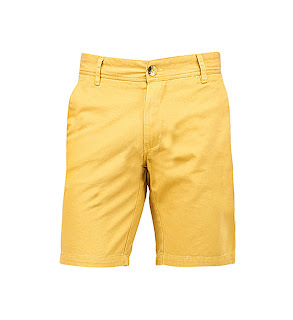 This dashing pair of mustard tinted three fourths is an absolute must-have for every stylish man. It will add an instant vibe of summer to your look. Wear it with your casual white shirts or with your tropically printed ganjis. You can totally take this look to the beach this summer. Nothing says ‘cool’ better than a pastel yellow casual shirt. Blended in cotton, it will keep you feeling breezy for an outdoor affair. You can combine it with your regular light hued chinos or with your classic blue denims. For footwear, clad a pair of loafers or breathable floaters. Edge up the whole look by wrapping a stunning chronograph around your wrist. 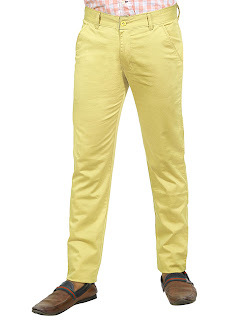 Partner your regular polos with this summery pair of casual trousers. The yellow shade makes it apt for the hot days ahead. If you are on for a super dapper semi-formal look, wear these trousers with your linen shirts and complete the ensemble with a pair of tan loafers. Stripes have always been the most loved print for the summer. 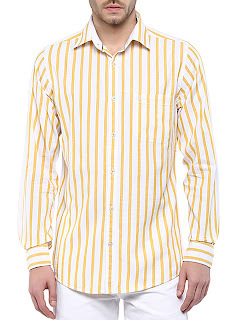 This yellow striped cotton shirt is the best when you want to get that authentic summer look. You can wear it to work by combining it with your office chinos. You can also combine it with your faded denims to get that edgy off duty look for the summer. The shirt is versatile and in vogue. Go sprightly with your footwear this season. 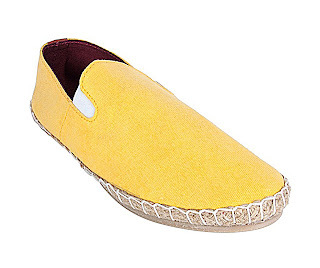 These yellow canvas espadrilles can go with all your casual jeans and shirt duos. You can also wear them with your cargo and polo look for the summer. They are bright and dapper and totally worth making it to your footwear list for the season. LimeRoad is a fun and exciting way to discover, share and shop. Limeroad.com is today reimagining e-commerce as we know it today with a social-commerce platform. Targeted at the intelligent women and men of today, it has an incredible width of carefully selected retailers, enabling customers to discover the best of lifestyle products across categories like apparel, accessories, and home.